The latest addition to the Airbus family, the A350-900ULR (ULR = Ultra Long Range) now takes Singapore Airlines passengers on a non-stop journey from Singapore Changi (SIN) to New York’s Newark (EWR) airport. The trip is currently the world’s longest non-stop flight; a whopping 9,500 miles, and should take just under 18 hours! There’s no economy class aboard this flight, with 67 business, and 94 premium economy seats making up the seating configuration to ensure passengers can travel in comfort on the mammoth journey. In 18 hours, you could watch 12 soccer matches, 18 episodes of NCIS (including ads!) or make the popular LAX to JFK flight 3.33 times! The good news is that we have the option to split our journeys and take a layover in different countries we never thought we might visit before. 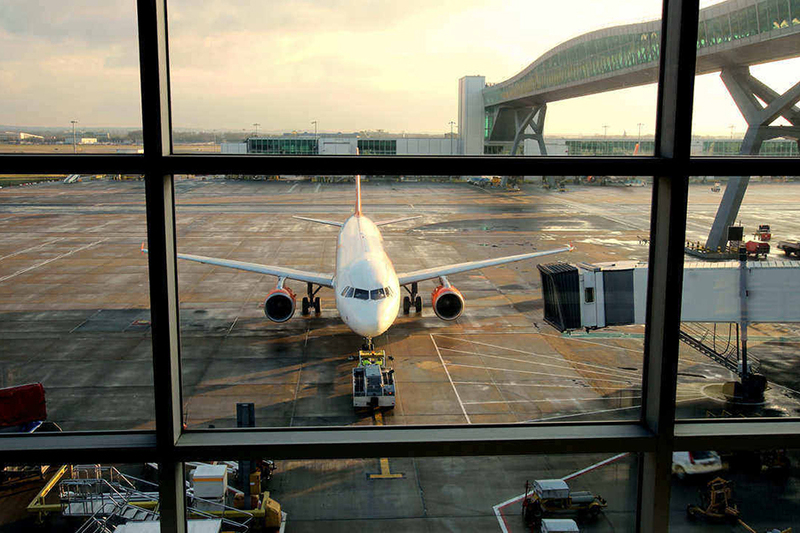 We’re looking at a selection of airports which are well known for connecting flights around the world, why they’re a good option, and what you can do whilst you’re there. 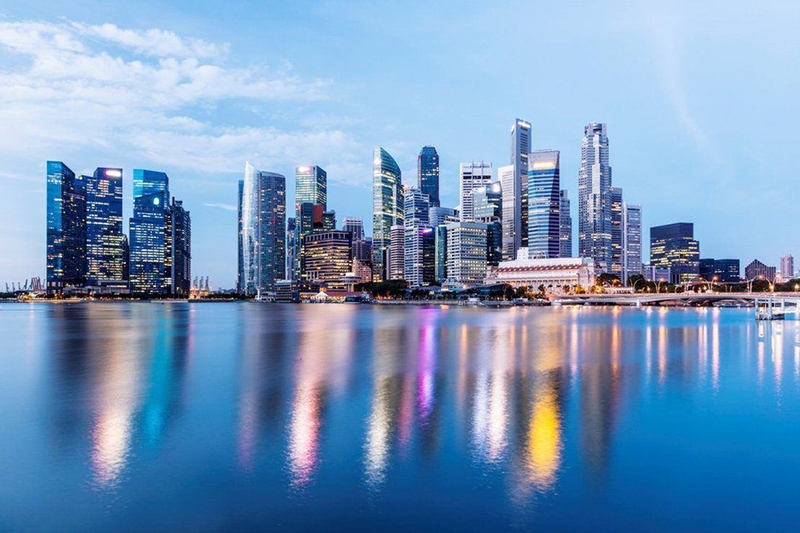 In 2018, Singapore saw over 65 million passengers pass through the airport, which is roughly the same amount of people who live in the United Kingdom! So there’s no doubting that it’s busy, bustling, and possibly a bit intimidating if you’re trying to navigate your way to your connecting flight. 100 airlines fly in and out of Singapore Changi Airport, and it connects over 400 cities in 100 countries – some huge numbers! There are 4 terminals to contend with once you arrive, the newest being Terminal 4, which opened in October 2017 and is home to the Blossom Lounge for Priority Pass Members to relax pre-flight, alongside many retailers and food outlets. Singapore Changi was voted the World’s Best Airport in 2018 by Skytrax, as well as picking up the World’s Best Airport Dining Experience, so you’ll be in good hands during your layover. One of the many reasons Singapore Changi holds these prestigious accolades is their free Singapore City Tour for travelers with a layover of 5.5 hours or longer. There are two tours on offer, both lasting 2.5 hours. The Heritage Tour runs 5 times a day, and the City Sights Tour is available twice daily. One of the main connecting hubs in Europe, Amsterdam Schiphol airport has just one terminal, but is split into 3 large departure halls. Some of its recent accolades include being named the 5th best airport in Europe in 2018 (Skytrax), and was voted the 9th best airport in the world in 2017 by Condé Nast Traveler readers. If you like to plan ahead, the airport has an app which is available on iOS and Android devices so you can easily track your flight information and security wait times. Alternatively, the Priority Pass app contains wayfinding technology which will help you find your way to and from specific locations within the airport, including your gate and airport lounges in the terminal. Within the airport itself, there’s plenty of opportunity to explore and learn more about the Netherlands. The Rijksmuseum Schiphol is located past security in the airport terminal, and was the first art museum in the world to open a branch at an airport back in 2002. The museum has free entry, and you can enjoy various paintings from the Rijksmuseum’s collection from the Dutch Golden Age. It’s worth knowing that Schiphol has 5 runways, and your connection time will differ depending on which runway you land on. The Amsterdam Schiphol website can give you personal advice based on your flight details by searching for your arriving flight, and entering your departure details. 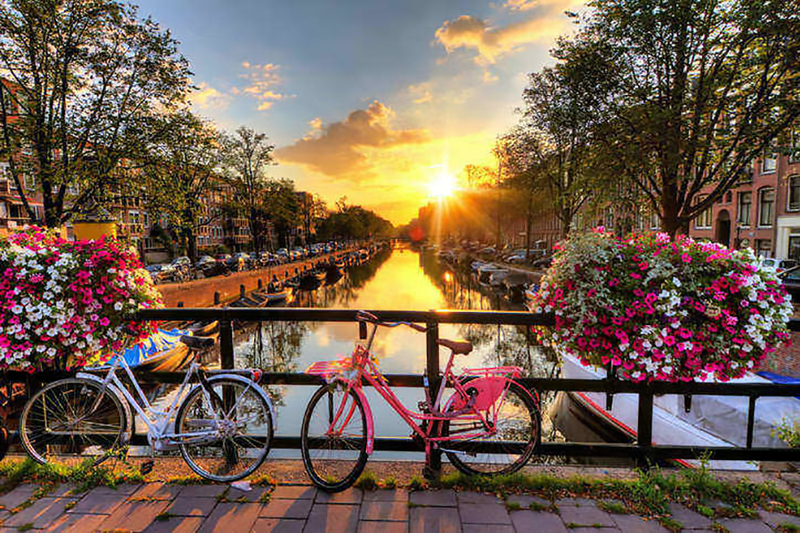 If you have a layover of more than 4 hours, you have enough time to get the train to the city of Amsterdam and enjoy the sights, before heading back to the airport for your next flight – the train is around 15 minutes from the airport to the city. 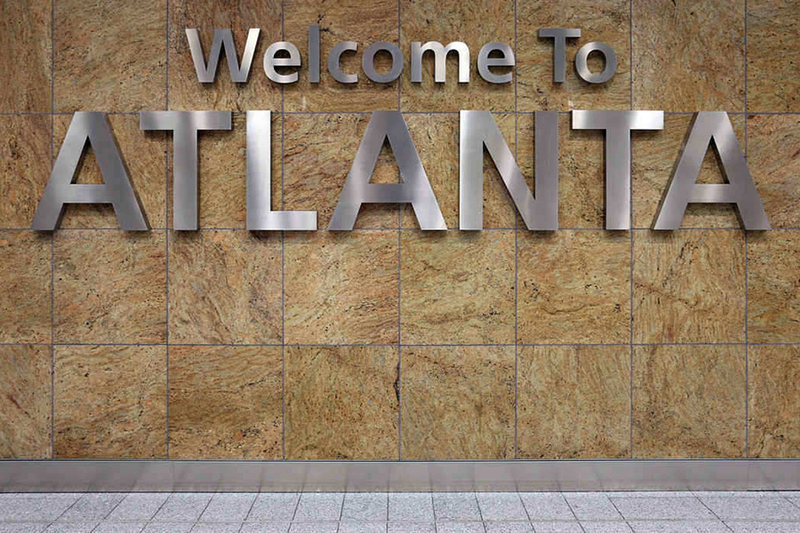 As common as connecting through Atlanta is, it’s been quoted in TV and film many a times, and even has an old joke in the South “whether one goes to Heaven or Hell, one will connect through Atlanta to get there.” The airport is one of the world’s busiest, with over 107 million passengers passing through in 2018; it accommodates these passengers via two terminals and 7 concourses. You can read more about the airport in our helpful guide here. The aptly named “Plane Train” connects all the concourses over a 3-mile loop, and is the most heavily traveled automated people mover in the world. Unsurprising when it serves the busiest airport in the world! Once you land, if you require assistance getting to the correct concourse for your next flight, airport assistants wear red waistcoats, will be able to give you a helping hand. Those on a long layover may want somewhere peaceful to recharge their batteries. Priority Pass has two Minute Suites within Atlanta Hartsfield-Jackson airport (Concourse B & T), where you’re able to use your lounge entitlement for a 1 hour stay, and then discounted hourly rates over the initial hour. If you’re already feeling energised though, ATL Tours run year-round with a choice of 5 different tours throughout the airport. Dubai is home to the largest airport terminal in the world by floor space (and is the second biggest building in the world by floor space); Terminal 3 was built to specifically host Emirates and Qantas flights, with Emirates flights alone contribute to 51% of all passenger traffic, and around 42% of all the airport’s aircraft movements. 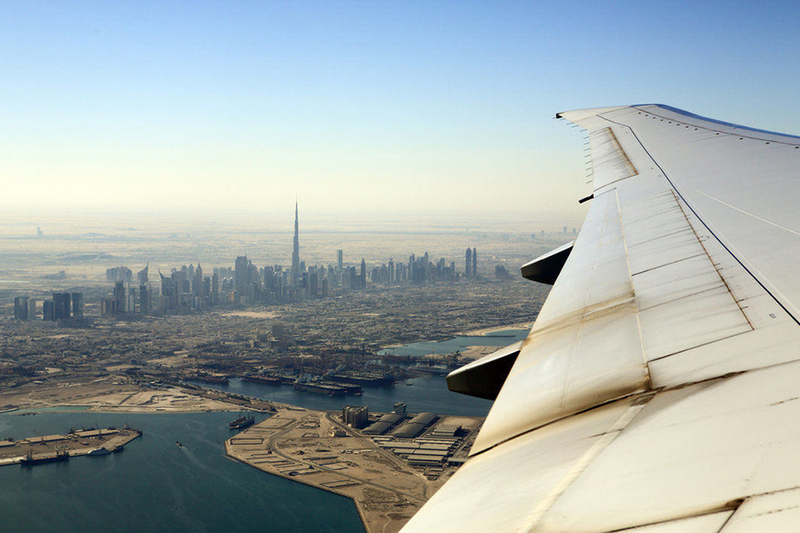 3 terminals serve Dubai Intl altogether, and those terminals are full of exciting shops, plenty of dining options and of course, airport lounges where you can relax before your connection. The airport has won a number of Airport Retailer of the Year awards, with an unbeaten streak lasting 8 years! As well as excellent options in retail, the airport boasts an excellent Wi-Fi connection called “WOW-Fi” which is the fastest airport Wi-Fi in the world. Through this system, you’re able to stream films for free via the icflix app available free for 24 hours. So check yourself into one of our 9 lounge options, select your film and let the time pass by! Just remember to keep an eye on the departure boards! The Ahlan Business Class Lounge in Terminal 1 (Concourse D) was voted for by Priority Pass Members to win the Lounge of the Year for Africa and Middle East in 2017. Specialising in creating personalised dining experiences for guests, it offers a signature cocktail, Arabic delicacies and spa facilities. It’s called London Gatwick, but it’s not actually situated in the city of London, it is in fact nearly 30 miles south of the capital, but it is served by excellent transport links. The Gatwick Express train runs every 15 minutes, and takes about 30 minutes to get into Central London (London Victoria Station) if you have a few hours to kill before your onward journey. If you’re an airplane enthusiast and are traveling from Terminal 1, make sure you check out the Pier 6 Bridge, it’s the longest and highest air passenger bridge in the world – it needs to be considering the planes pass right underneath! It’s helpful to know that Gatwick provide estimated minimum connection times, depending on which terminal your flight is due to arrive then depart from. If you’re not changing terminals, the estimated minimum connection time is 60 minutes, but if you are changing terminals, then allow a minimum of 90 minutes. It’s important to know that these times are estimated, and may vary depending on each individual circumstance. Everyone loves to do a bit of shopping, and Gatwick offers some excellent options. Whether it’s clothing, footwear, sportswear or something to wet your whistle, Gatwick probably has it. The good news is they offer a collect on return service for any items purchased if your onward travel is in the UK or the EU. Simply let the cashier know you’d like to collect it upon your return (if you’re connecting back through Gatwick on your way home of course) and it will be ready for collection at the excess baggage kiosk.